MOUNTJOY and Maghaberry prisons have seen the highest number of drug seizures in jails on either side of the Irish border since 2010, new figures reveal. A special report on the availability of illicit and prescribed drugs in prisons in the Republic of Ireland and Northern Ireland has revealed that close to 11,000 drug seizures were made by prison authorities on both sides of the border over the past seven years. It has also revealed that in Northern Ireland’s jails prescription drugs rather than illegal drugs are more likely to be misused by prisoners. However, a similar examination of drug use in the republic’s jails proved impossible after it emerged that the Irish Prison Service (IPS) is failing to keep comprehensive records on the type of drugs seized, despite a policy commitment in 2006 to do so. Data obtained by The Detail on the scale of drugs intercepted across the 14 prisons operating in the republic found that 8,524 seizures were made between 2010 and July 2017. A total of 2,266 drug seizures were made between 2010 and June 2016 in Northern Ireland’s four prisons. Click on image to view interactive version. Click here for an interactive version of this infographic illustrating the number of drug seizures in each prison, north and south, since 2010. A breakdown showing each jail further revealed that Mountjoy prison had the highest number of drug seizures in the republic at 2,165 to July 2017, while Maghaberry prison had the highest number of seizures of drugs and unknown substances in Northern Ireland at 1,360 to June 2016. The analysis also found that drug seizures more than halved in prisons in the south but rose in northern prisons. In the republic drugs have played a role in the death of 19 prisoners, either in custody or while on temporary release, since 2012; in Northern Ireland drugs have been implicated in the death of at least 10 prisoners, either in custody or post-release, since 2014. Despite the efforts of prison authorities to disrupt the flow of drugs, inmates in Northern Ireland are still accessing illicit substances. At Maghaberry prison, which had the highest number of drug seizures, new figures show that a high percentage of prisoners are testing positive for drugs. Random drug testing of inmates found that one in five prisoners tested at the high security facility had drugs in their system, which is higher than the one in eight target set by the prison service - see here for story on drug misuse at Maghaberry prison. An analysis of the type of drugs seized in prisons also shows that prisoners were more likely to misuse prescription medication than illicit Class A drugs, such as, heroin or cocaine. Statistics obtained under Freedom of Information (FOI) legislation in Northern Ireland found that almost 19,000 prescription and unknown tablets were seized in prisons between 2010 and 2014. By contrast less than 200 grams of cocaine and heroin powder and less than two kilograms of cannabis were seized over the same period. The gravity of the prescription drug problem is not lost on prison and health authorities, who acknowledged the risks posed to life at a joint meeting in May 2016. Internal documentation obtained under FOI stated: “Some are bringing in prescribed medication and it is being abused to such a level that it could become life threatening and this is a worry”. 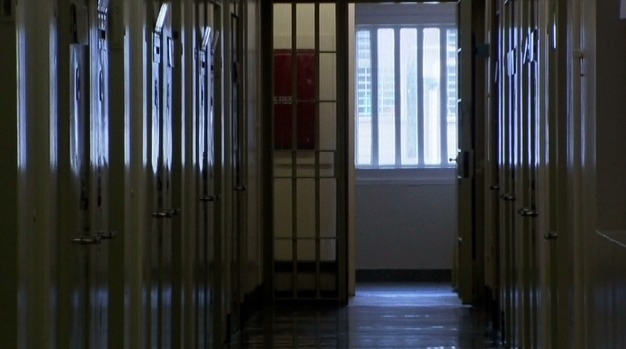 The findings come as prison and health authorities have come under fire for dragging their heels on a promised strategy to tackle drugs in prison. Chief Inspector of Criminal Justice Inspection (CJI) Brendan McGuigan expressed concern at the “slow pace of progress” on a 2014 “priority” recommendation to implement a comprehensive strategy on substance misuse in prison - see here for full story on substance misuse in prisons in Northern Ireland. But while prison and health authorities on the northern side of the border continue to grapple with the misuse of prescription medication, it is not clear what type of drugs are being seized, traded, and misused in prisons in the republic. The Detail can reveal that the Irish Prison Service (IPS) is failing to meet a 2006 policy commitment to record and monitor what type of drugs are seized in jails. The revelation comes on foot of a Freedom of Information request by The Detail in August last year for data on the type of drugs seized in prisons in the republic. The prison service’s own policy on ‘Keeping Drugs Out Of Prison’ requires a security committee in each facility to “record accurate statistics” on drug seizures, including the type, volume, and location of each seizure. The 2006 policy is designed to curb the flow of drugs in prison and ensure the safety of prisoners and staff. The prison service refused the FOI request on security and public safety grounds. “The granting of access to the records pertaining to the work of the security committees could reasonably compromise the practices and procedures of the Irish Prison Service in their attempts to prevent the flow of contraband into penal institutions and as a result adversely affect the prevention, detection and investigation of crime, threatening the public and staff safety,” the prison service said. On appeal to the Information Commissioner, however, it has transpired that the policy on recording data on drug seizures “is not applied” by the prison service and that no such records are kept by any prison. “The IPS stated that the process as described by the requestor is not applied by the IPS, and that such records do not exist,” the decision of the Information Commissioner stated. “The IPS said it also had detailed contact with the Governors in each prison and conducted a search of the electronic databases and records held. It stated that ‘no records have been located on this matter’”, the decision further stated. In the wake of the Information Commissioner’s correspondence issued last week, the prison service issued a further statement to The Detail confirming that some data is recorded, not by a security committee as per policy, but by an operational security group (OSG). The prison service said: "The OSG maintain records of their contraband finds in prisons, this includes the locations, person (if applicable) and the type of contraband if known. On occasion the OSG are required to record the physical aspects of the contraband i.e. White powder, blue tablets etc.. if the exact drug is not readily identifiable. "The IPS does not have the lab ability to forensically test for chemical structure of drugs etc.. we do if necessary in specific cases refer some substances to AGS (An Garda Síochána) for testing." While this partial data has not been released by the prison service, it said the 2006 ‘Keeping drugs out of prison’ policy is "under review". Earlier this year IPS Director General, Michael Donnellan, acknowledged the "massive problem" that drugs presented when he told a Dáil committee in February that 70% of prisoners have addiction issues. The Irish Penal Reform Trust (IPRT) said recording drug seizure data is critical to identifying changing trends in drug use and informing the development of drug treatment services. "IPRT is clear that prisoners who wish to address their addictions should have access to a full range of drug treatment services, including detox beds, counselling, and drug-free landings. However, such treatment strategies must be responsive to changing drug trends,” Fíona Ní Chinnéide, IPRT Acting Director, told The Detail. “The collation, analysis and publication of data on illicit drug seizures forms a critical role in identifying these trends,” she added. Internal documentation from the IPS, obtained under FOI, also reveals a €1 million funding cut for treatment services and a 17% fall in prisoners receiving methadone treatment since 2011. This comes in the wake of an independent evaluation of prison addiction services published in December 2016, which identified a number of service gaps and called for funding to be restored to 2011 levels. Among the gaps identified was the need for services for female prisoners, for treatment options for new drugs, such as novel psychoactive substances, for services for prisoners with addiction and mental health issues, and for drug-free landings. The Irish Prison Service said it is committed to increasing funding for drug treatment and developing a dual diagnosis service with the Health Service Executive. A spokesperson for the Irish Prison Service said: “This year the Irish Prison Service has restored its nursing complement to pre-2011 levels which includes an enhanced addiction service capacity”.